Yale Security Safes are the UK's most popular safe brand. This safe is ideal as a budget safe for your home or office. 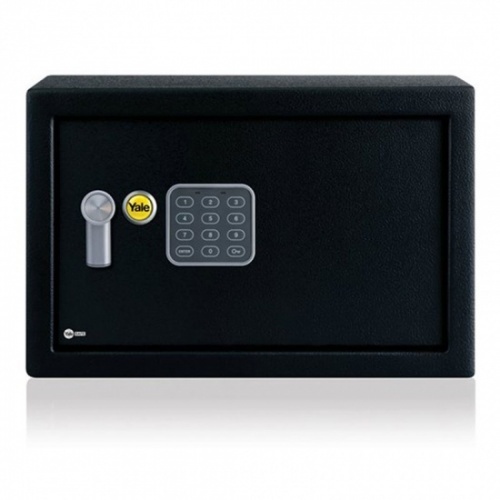 The value safe range from Yale uses a digital keypad code entry with a key back-up. Offering up to 10,000 possible combinations using a 3-8 digit programmable code. 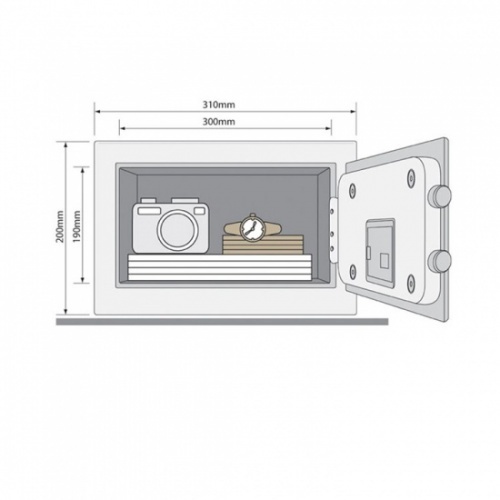 The compact safe also features a time lock feature which will operate after 3 incorrect entries for 20 seconds and 6 incorrect entries for 6 minutes. The safe features 16mm locking bolts which are retracted by the handle once the correct code has been entered or back-up key is used. Each safe is supplied with fixings, batteries and 2 keys.